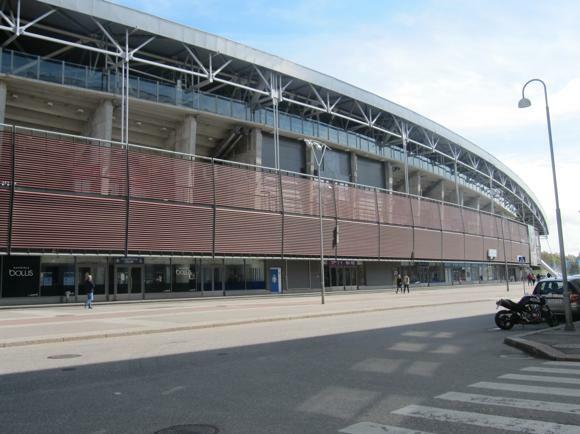 Helsingin Jalkapalloklubi are Finland’s biggest and most successful football club. 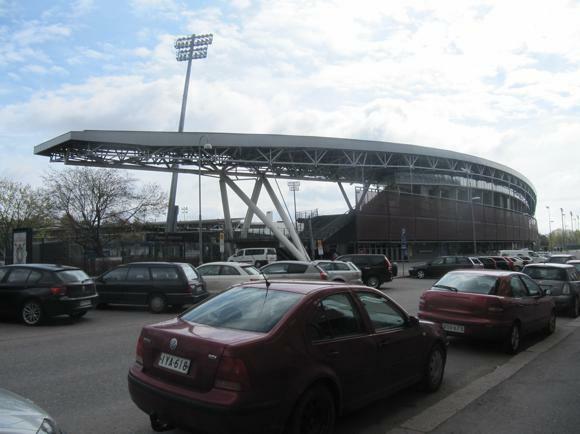 Known in English as HJK Helsinki, and by locals as Hay-Yah-Koh or ‘Klubi’, HJK won six league titles from 2009-2014, the grand total of 27 putting them way ahead in the all-time records. 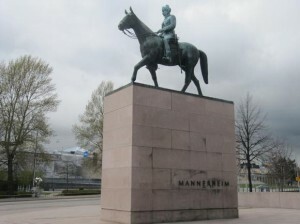 Finland’s only club to compete in the group stages of the Champions League, HJK were founded by the country’s first champion in speed skating, Fredrik Wathén, in 1907. First winning the Finnish title in 1911, HJK established early rivalries with HPS and HIFK to dominate the league in the 1920s and 1930s. After the war, striker Kai Pahlman moved from HPS to HJK, scoring in Klubi’s European Cup debut in 1965 against Bobby Charlton’s Manchester United, a memorable 3-2 defeat at the Olympic Stadium. Under coach Jyrä Heliskoski, former assistant to Roy Hodgson for the national team, HJK won three titles in the late 1980s, before a young Jari Litmanen joined for a season in 1991. The future Ajax star would finish his career at HJK exactly 20 years later. Goalkeeper Antti Niemi, later of Southampton and Fulham, also joined HJK in 1991, but had left by the time centre-back Hannu Tihinen arrived. Along with defensive midfielder Aki Riihilahti, and Shefki Kuqi, also later of Crystal Palace, Tihinen led HJK to a group stage appearance in the Champions League in 1998-99. After a narrow win to qualify over Metz, HJK put in creditable performances against PSV Eindhoven, Benfica and Kaiserslautern, drawing twice, beating Benfica once, and twice only losing to late goals. While since dominating at home, particularly under returning coach Antti Muurinen, previously in charge for the Champions League adventure, HJK created the odd surprise in Europe. In 2011, a 13-0 aggregate win over Bangor City led to a narrow defeat to Dinamo Zagreb, and 2-0 win over Schalke 04 in the Europa League. Scorer of both goals, Teemi Pukki levelled the return leg in Gelsenkirchen only for Schalke to strike back. Within a few days, the Germans had signed the young striker. In 2014, HJK became the first Finnish club to compete in the group stages of the Europa League after a shock win in the play-off round over Rapid Vienna. A late penalty by Demba Savage sent Klubi through, prestigious fixtures against Torino, Bruges and FC Copenhagen then resulting in two home victories. The Gambian international returns for the 2017 season, which sees HJK attempting to wrest back the domestic title after three years. 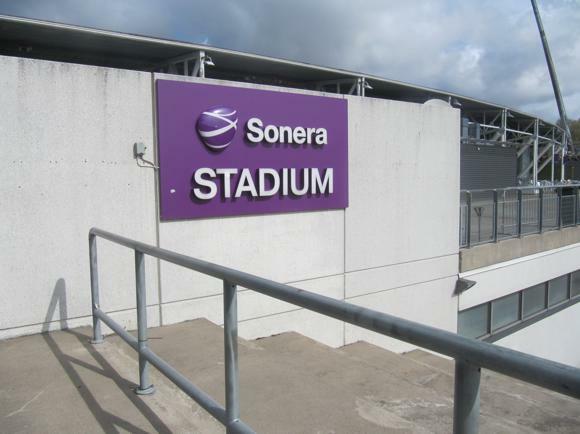 The recently renamed Telia 5G-areena, formerly the Sonera Stadium, is located between the main avenue of Mannerheimintie and the Olympic Stadium. 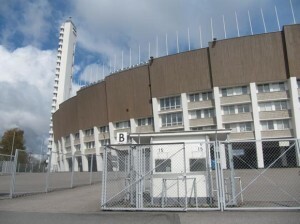 Built as the FinnAir Stadium in 2000, giving main club HJK a home of reasonable size, the 10,700-capacity ground was opened with a 3-1 by Finland over Norway, Jari Litmanen getting two goals. 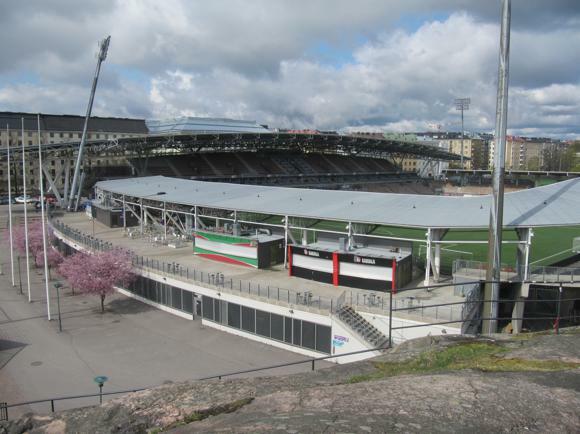 The national team has since played here a handful of times but the stadium is essentially where HJK fans gather all summer season, in the north (pohjoinen) stand and part of the south (etelä). 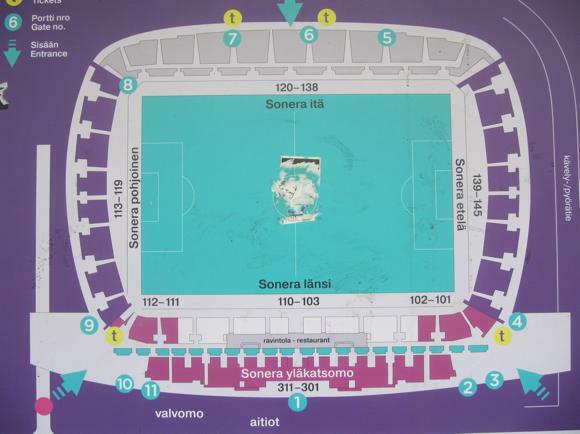 Away supporters of up to 2,000 are seated in blocks 139-140 of the south. The west (länsi) and east (itä) stands are along the sidelines. 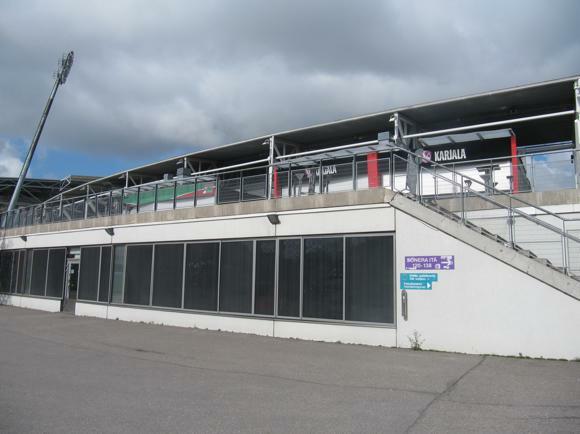 The Sonera is nearer to the main tram stop of Kansaeläkelaitos, on the corner of Urheilukatu, a two-minute walk away. Trams take 10-15min from town. 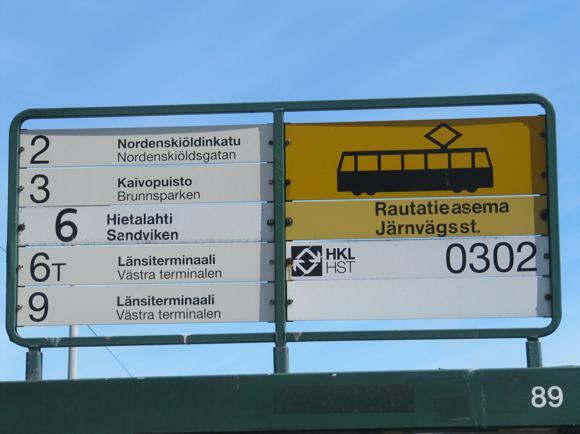 The No.2 runs from Central Station, while the Nos.4T, 7A and 10 run from the Lasipalatsi stop outside the Sokos Hotel Vaakuna on Mannerheimintie. Numerous buses run the same route. A taxi would cost around €20 from the city centre. 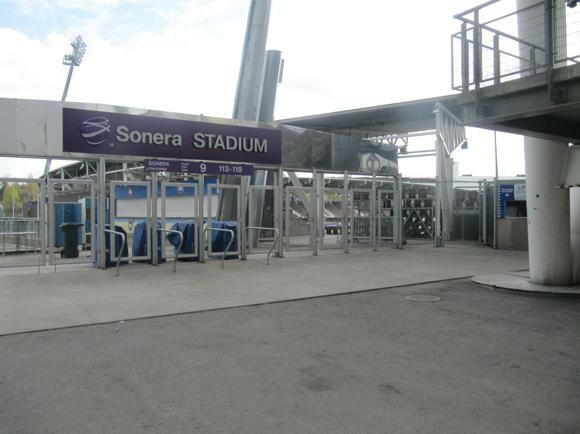 On match days, tickets are sold at gates four, six, seven and nine. 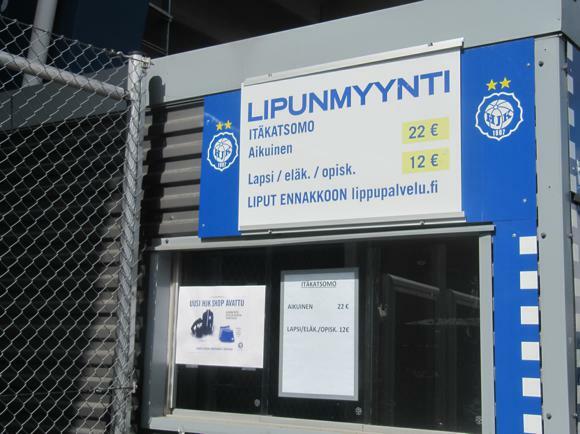 Online, HJK sells advance admission €5 cheaper per ticket, €25 for the best seats including a buffet at the Bollis restaurant; €17 in the east stand, and €7 behind the goal. Children 6-16 are €5-10 cheaper. 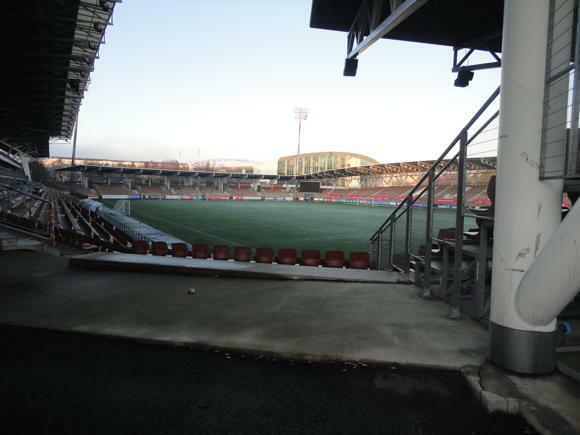 ‘Hot’ games with FC Honka, MYPA and SJK are €5 dearer all round. Ticket agency Lippupalvelu also distributes. 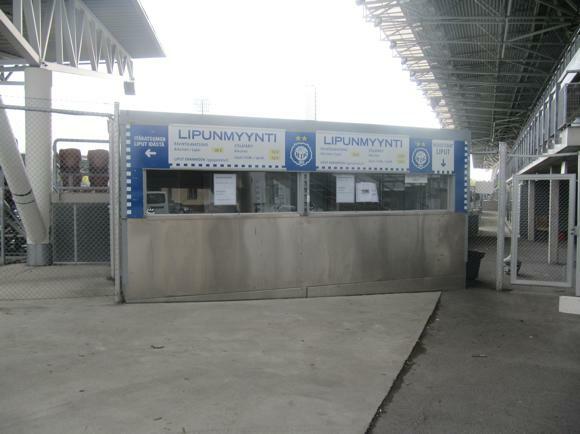 HJK sell replica shirts, scarves and souvenirs online and around the stadium on match days. 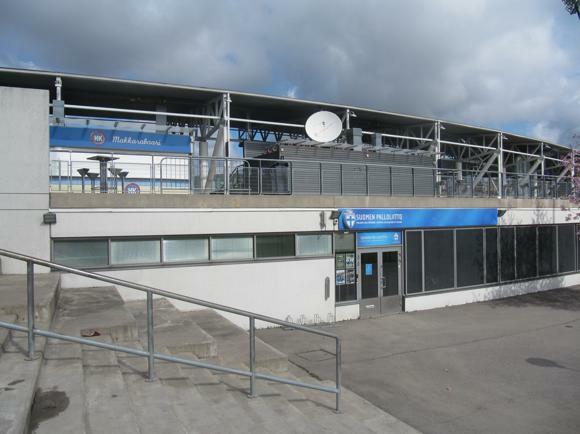 The main match-day bar/restaurant at the stadium is Bollis, which lays on a continental buffet on weekday lunchtimes (€12.60, 11am-2pm) and before home games. Those purchasing €30-35 match tickets (€25-30 online) are given access to the buffet. 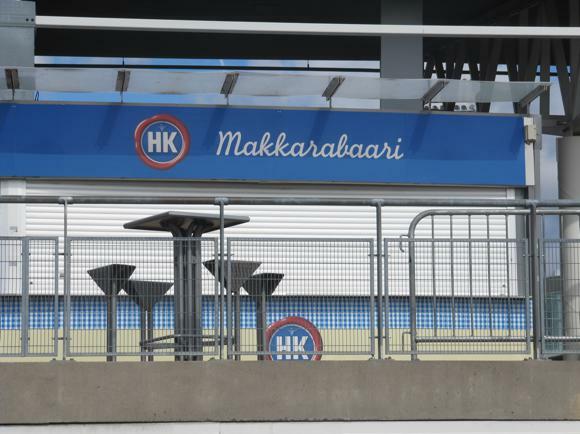 Pizzas, makkara (sausages) and Karjala beer are also sold around the ground on match days, each around €5-6. 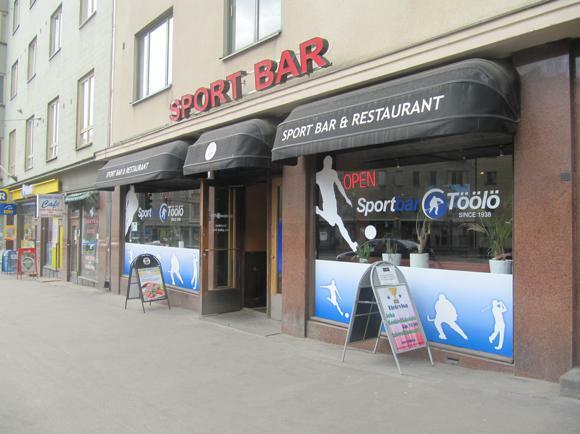 HJK fans frequent the Sport Bar Töölö at Mannerheimintie 98, its six TV screens, local beers and always popular €10 schnitzels a two-minute walk from the Sonera Stadium. 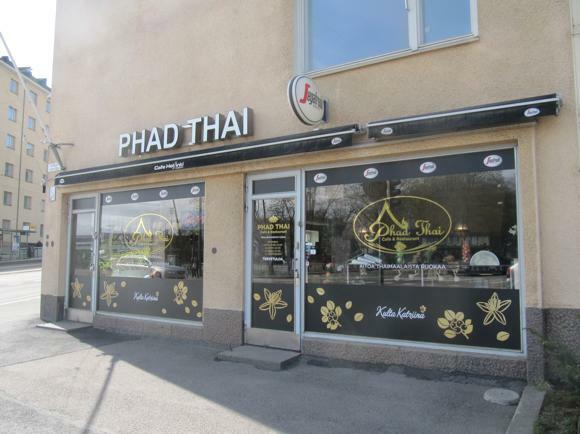 For Asian food, the closest restaurant to the stadium is the Phad Thai at Urheilukatu 36, with a weekday lunch buffet for €9.50.